After much anticipation, The Forty Part Motet—an immersive sound installation by Canadian artist Janet Cardiff—has opened at the newly renovated Gallery 308 at lower Fort Mason. The initial reviews echo the stunned reactions of past visitors who have experienced this masterpiece, which was created in 2001 and has been shown over 40 times all across the globe. “With the sound coming at you from all sides, it gives you a feeling of being in a huge space—but in your bones!” said one astonished visitor, at the Parks Conservancy member-only preview last week (the piece is on view from Nov. 14, 2015 to Jan. 18, 2016). Others reported visitors in emotive tears at the beauty of this remarkable work, which features 40 individual voices singing and talking through 40 speakers arrayed in the gallery space. The voices perform a 500-year-old choral composition by Thomas Tallis, entitled “Spem in Alium” (“Hope in Any Other” in Latin). Although admission is free, advance tickets are strongly recommended as space is limited; visit motettickets.org to reserve a date/time slot. A few same-day walk-up tickets will be made available; follow #40PartMotet for availability. Burke de Guzman, who worked with the FOR-SITE Foundation to help the Conservancy’s Art in the Parks program realize @Large: Ai Weiwei on Alcatraz and the International Orange exhibition at Fort Point, encourages repeat visits to this contemporary take on a Renaissance piece of music. The setting for this production—in our Golden Gate National Parks—is particularly symbolic. 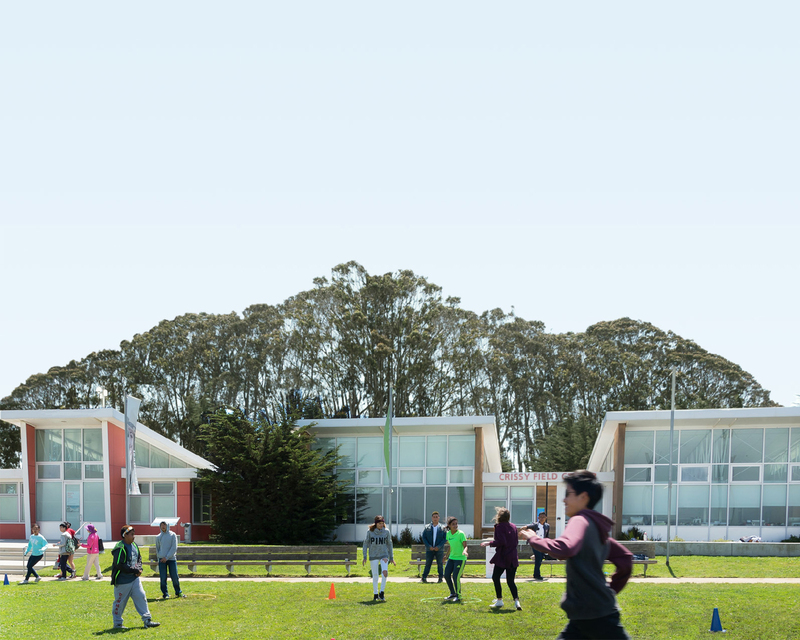 SFMOMA’s “On the Go” program, which has been bringing art into the community while the museum completes its renovation, began with Mark di Suvero at Crissy Field in 2013. With the new building set to reopen next year, “On the Go” comes to a close with a return to the park at Fort Mason. At the same time, The Forty Part Motet also represents a beginning—the first artwork shown at the Fort Mason Center for Art and Culture’s Gallery 308. This space, a former maritime trade and repair shop, has been meticulously rehabilitated to showcase its industrial aesthetic and stunning Golden Gate and Bay views. The immensity of that panorama—and the intensity of this piece—combine for a transcendent experience not to be missed. Learn more at fortmason.org/event/forty-part-motet.